Designed to be a dependable choice for your appliances, Livguard Inverters provide continuous power supply to facilitate the modern lifestyles of today. Come, live the energy unlimited lifestyle with Livguard Inverters! 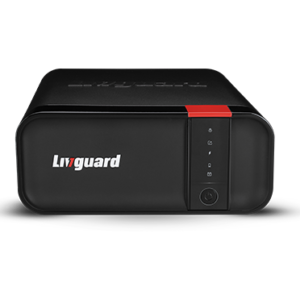 Livguard inverters are designed to suit the needs of all your appliances. Equipped with artificial intelligent charging, our range of inverters can run heavy appliances with ease and have longer back-up time. Other features include an in-built battery gravity builder and battery deep discharge protection. Livguard inverters are compatible with Flat, Tubular, SMF and other local batteries. Let us help you find the right Inverter and Battery for your backup requirement.